Should you always over-think things in order to get the best results? Actually, this could rather prevent you from solving problems. Gilly Chater is a leadership expert who focuses on effortless ways for leaders not only to do their job properly, but to boost their personal growth as well. She is highly passionate about what she does as her work helps others enjoy life more. ‘The only way to bring out the best in others is to bring out the best in yourself.’ Gilly says that leaders have to look after themselves and to reach that priceless inner balance. As leaders are responsible for the performance of their team, they have to lead by example. Gilly’s advice applies to all kinds of leaders, from parents to business owners. ‘We’re not present. We’re not in the moment.’ Mental well-being requires less thinking and more action. Otherwise we get lost in our own thoughts. Do you want to set yourself free from the burden of over-thinking? See more and remember to share it with your friends and spread the passion. Moustafa: Hello everyone and welcome back to Passion Sundays, the best way to end a week and start another. Our guest today is a specialist in leadership, helping leaders stay leaders regardless of the circumstances – Gilly! Thank you very much for being with us today! Gilly: Hi! Thank you, Moustafa! It’s wonderful to be with you! Moustafa: It’s an exciting topic – leadership! But when you put it in the context of staying a leader even in challenging times and regardless of the circumstances, that gets even more exciting. 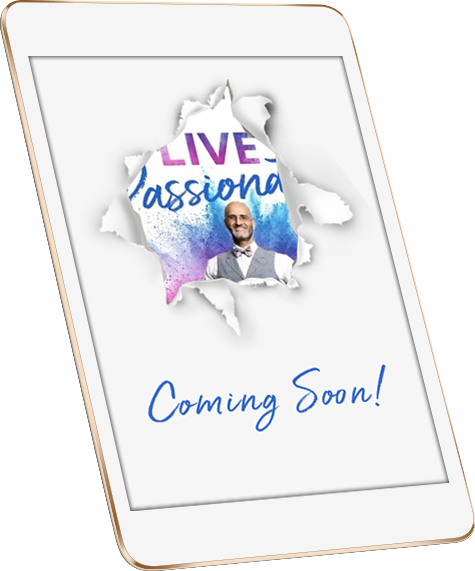 First tell me – what does passion mean for you? Gilly: Passion means… I’m passionate about what I do because it’s totally in line with my purpose in life, my values and helping others to have a happier, more enjoyable way of life. Gilly: Whatever happens. We all have our ups and downs. Moustafa: Nice. And how do we have that discussion in the context of leadership because being passionate is one thing and being a leader is a totally different thing. Gilly: Yes, I think that a leader must be connected with him- or herself. About who she is or who he is. And if we’re going in that context of being a leader in an organization, in a school, as a parent they need to understand that the only way to bring out the best in others is to bring out the best in yourself. So I say that leaders need to be a little bit selfish. Not in the nasty sense of selfish! But self-care, looking after themselves. Moustafa: I like that. Because usually when people are talking about leadership, everybody is talking about being others-centered, about being others-focused. What you’re saying is being a true leader is starting with yourself first. And that starts not just with walking the talk, but also with taking care of yourself. Gilly: Yes, absolutely! Leaders cast a show everywhere they go. And you see that sometimes with a team, you really have that sort of panic manic leader in place and they wonder why everybody is all over the place. And they blame it on the team. But they don’t realize that they have that influence and they have implications for how the team is performing or not. Moustafa: I see. And how would you then recommend to a leader to stay passionate when times are getting tough? Because it’s easy to say ‘I’m a leader and I’m doing all this great’. But we know a lot of experiences and situations in the world that have shown a lot of leaders not to be able to walk the talk when times are tough. Moustafa: I see… And what do you recommend as rituals or practices that would help people and leaders stay passionate? Gilly: Well, it’s funny because for many years I thought of all of things you need to do, you know, to be in that mindfulness state or whatever it is. But what I’ve discovered back 20 years ago this year was a whole lot of people who were psychologists, psychiatrists, people seeing that our mental well-being is actually always in existence. And we need to reconnect with that innate state and common sense. So what I’ve said just now, when we recognize how we were feeling just a moment ago… Coming on today I might have felt ‘Oh my goodness, I’m gonna be on camera, I don’t know who is gonna see this…’ All this stuff would be going on in my head. And in fact, the title of my book, which is just being written right now is ‘Don’t think about it’ because we think too much. And it’s not the thought that we had but it’s all the thoughts that we had about that thought that create those ‘Oh, can I do this? What’s gonna happen?’ So we’re not present. We’re not in the moment. Moustafa: Well, it’s easier said than done. You can tell me not to think, you can tell me to be present. But how can I do it? Maybe someone is watching this now thinking ‘Ok, I agree with you but I don’t know how to do that’. So how do you guide leaders to be more present and to be more in the moment? Gilly: That a great question, Moustafa! Because what I meant was ‘Don’t think about it’ meaning ‘Don’t think about the thoughts that you had about whatever it is’. Gilly: So if we have something happening, we tend to think about that and then we think ‘Why hasn’t this happen?’ or ‘Why this?’ or ‘What are we going to do?’. We are winding ourselves up without even recognizing it. The secret here is like the magic sauce in a recipe. Is that… we have what I call a ‘personal feedback system’. You and I and the rest of the world. And our feelings state what is going on in our head. Now we have the freedom to choose whether we dwell on those thoughts going on in our heads or not – your choice or mine! Sometimes we get uptight about it. We think we would because we are upset and frustrated. But we recognize that it’s a thought in a moment. Thought in a moment and another thought will come. So, let me give you an example. I might be having a heavy discussion with my husband. Not an argument, but a debate about something and feeling a bit frustrated that he’s not listening to me. But then the phone goes and my greatest girlfriend calls. I’m just chatting away but just a moment ago I was having this heavy debate. We change our thinking anyway. Gilly: And it’s so easy. Actually it’s easy. We are the ones who can’t stop thinking and making things difficult. Because we are so invested when we have an emotional attachment. Gilly: Oh, that’s a perfect question too! Because if you take outside in and inside out, outside in is because we so often think that the circumstances and the events and the people are causing us to feel the way we do including feeling happy. Gilly: What we don’t understand is our thinking about whatever it is it’s what’s causing us to be happy, sad and feel whatever it is. So it’s not about necessarily positive or negative. It’s about thinking in itself, because thought is the most powerful asset we have. Moustafa: Thinking or not thinking. Gilly: Or not thinking, yes. Or not thinking about it and going round and round and round. Moustafa: Ok, so now I get it. So it’s basically about not getting stuck in the thought so thinking in the moment and then just deal with the next thought that’s coming up. Gilly: Absolutely! If you want creativity and innovation, leave that thought alone for another one to come up and bring fresh thinking. It is great for solving problems and coming up with solutions too. So leave it! Stop it! Moustafa: I love it! So basically let go to open space for new thoughts and in a way that becomes a new refreshment of your energy, idea and passion. Gilly: New ideas, creativity and innovation, everything! Moustafa: Gilly, I love it! It’s amazing! Thank you very much for this beautiful interview!